Posted November 8, 2017 & filed under In the News, Technical Bulletins. In time for winter, Wellntel is pleased to announce Sounder Probe 3 (SP3), a technical advancement that improves operation and performance even in wells with limited ventilation and where seasonal temperatures and dew points can affect sensor signal strength. Wellntel is engineered for rugged conditions, including intense sun, hot and cold temperatures, and, of course, water. Components are selected for long life and stable operation despite a wide range of conditions. Our plastic is UV-stable. Our electronics are encapsulated. Everything needing to be outside is waterproof. That said, an odd assortment of variables sometimes come together to frustrate some customers. A main focus of our engineering team this year has been on solving this complex problem. The condition occurs when there is very little movement of air into and out of the well, when background relative humidity is high, and when there are dramatic downward swings in outside temperature, like at dusk in the early winter. When these conditions come together, large quantities of dew form inside the well near the ground surface. Since there is no air movement to cause the dew to evaporate or shed, some of it can adhere for very long periods. While prior generation sounders technically survive these periods, dew forming on part of the sounder probe can render it temporarily deaf, so a system is unable to deliver consistent readings when it happens. SP3 solves this problem. By sealing the sounder and replacing solid surfaces with slick, flexible ones, while not inhibiting pressure and sound, SP3 sounders will operate much more consistently during periods of extreme dew formation. We expect that 80-90% of dew interruptions will be prevented by using the SP3 sounder . As with all Wellntel components, SP3 sounders will carry a one year warranty against manufacturing defect. It is critical that installation and operation guidelines are followed closely to ensure proper operation. New materials used on SP3 sounders will eventually degrade – we anticipate 2-3 years of useful life – and will need to be replaced. Wellntel technicians will monitor system performance and alert when replacement is required. Replacement will cost $20 + shipping. 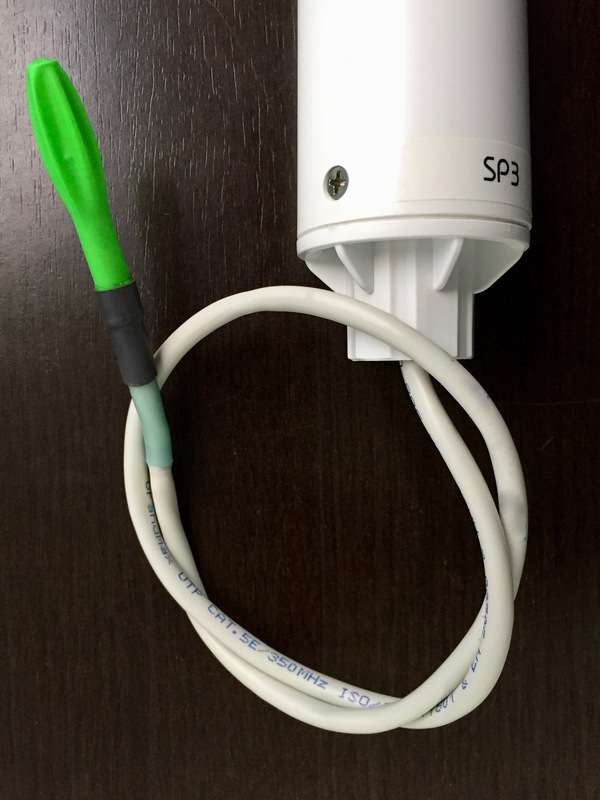 Starting today, every new Wellntel sensor shipped from the factory will include an SP3 sounder. All customers with a Wellntel sensor in the field and still under warranty can request a free upgrade to SP3 by emailing techsupport@wellntel.com. And all customers with sensors out of warranty can upgrade to SP3 for $20 + shipping.